From an insurance perspective, it is heartening to note that service tax on single premium annuities have been brought down from 3.5% to 1.4%. The budgetary announcements by Finance Minister Arun Jaitley was clear on the developmental agenda of the Government and must be lauded from the perspective that the common man has also been given some relief albeit in small measures. From an insurance perspective, it is heartening to note that service tax on single premium annuities have been brought down from 3.5% to 1.4%. This certainly will bring down the cost of such policies, the benefits of which can be enjoyed by life insurance customers. An attempt to build a pensioned society through only the National Pension System (NPS) is a good strategy but this approach should be widened to include other pension products to make it more attractive by removing the service tax from all pension products and not just NPS. The Finance Minister has brought about disparity between the life insurance pension products and other pension products like NPS and EPF. In the absence of a widespread social security system in the country, the life insurance sector can play a critical role in building a pensioned society through its vast reach and having over 30 crore existing customers. Given the substantial reach of Insurance companies, the agenda of future social and financial security can be quickly implemented by leveraging the existing insurance base. It would not be out of place to request for a similar service tax treatment in line with NPS. This can go a long way in supplementing the Government’s intent to promote pension and annuity across the nation. There is therefore a strong case for the removal of the service tax component from all IRDAI approved life insurers who provide pension and annuity products in line with the NPS. Investments in NPS have been given a special tax deduction of up to Rs 50,000 under section 80 CC(D) of the Income Tax Act, which puts it at a vantage position in comparison to pension products in the life insurance sector. The Finance Minister should consider including all pension products and not just NPS in this exclusive limit of tax exemption. Pension products from the life insurance stable should also be included in the 80 CCD(2) window in line with NPS to qualify for additional tax deduction . In the same vein, annuitants who receive the annuity income in their advanced years should also be able to receive tax free income in their hands. 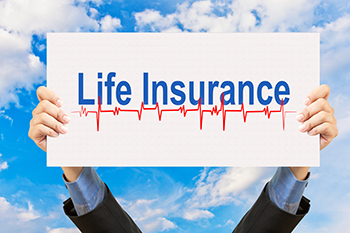 There is a further regulatory gap with regards to the Life Insurance plans and the NPS. As per the budgetary announcements, 40% of the corpus of NPS will be exempted from tax obligations. The corresponding amount with regards to pension products of the life insurance sector stands at 33% as per IRDAI regulations. Pension products of this sector should be brought at par with the NPS by making 40% of the corpus tax free. Finally, in a country that is short of social security and has a crying need to ensure protection and financial inclusion of its countrymen, there is a need for life insurance to be given its due importance as an instrument that can achieve public policy goals. Hence, we do believe that a separate window over and above Section 80C of the Income Tax Act should be created to the tune of Rs 1.5 lakh for protection and long-term saving instruments. Alternatively, a separate window for pure life risk policies, akin to health insurance, should be created. In addition, the current regulation allows tax deduction only in cases where sum assured is 10 times that of annual premium. This puts additional cost burden on people in higher age bracket. It would be a good idea to align Income Tax regulations to IRDAI product regulations which allow minimum sum assured multiple of 7x in case life insured is above 45 years of age. Or Income Tax regulations may totally do away with sum assured multiple requirement and tax exemption criteria could simply be the policy tenure of 10 years or more. Life Insurance industry can play a critical role in creating a secure and pensioned society. It is time the Finance minister gives a boost to the industry by providing tax benefits.